Former Philadelphia School District principals Arthur "Larry" Melton and Barbara McCreery have both been arrested in connection with test cheating scandals at their former schools, Bok and Communications Tech High Schools, respectively. Two additional principals have been snared in a Philadelphia School District cheating scandal, criminally charged Thursday with manipulating standardized tests to boost their schools' scores. Barbara McCreery and Arthur "Larry" Melton, former leaders of the now-closed Communications Tech and Bok High Schools, are the latest to be arrested in an ongoing grand jury investigation into widespread cheating in Philadelphia and other parts of the state. 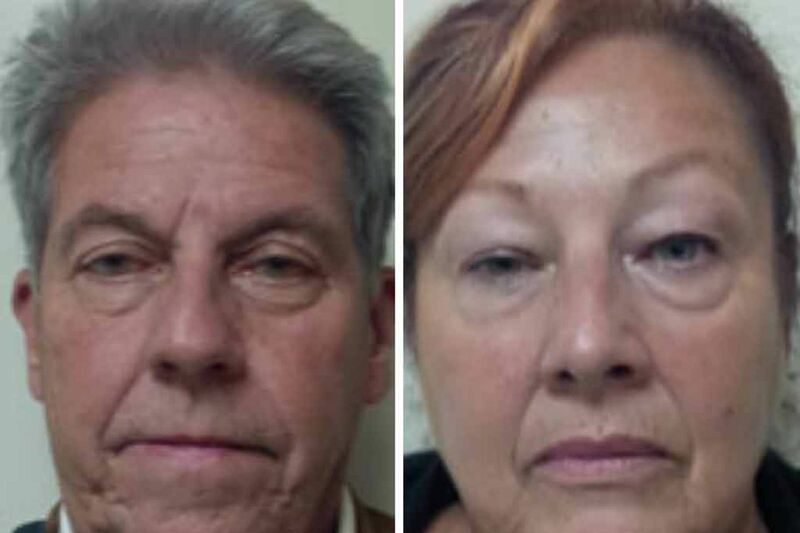 Attorney General Kathleen G. Kane's office said that McCreery, 61, of Philadelphia, and Melton, 70, of Cherry Hill, were both charged with three counts of tampering with records and forgery. A state grand jury recommended the charges after the Pennsylvania Department of Education referred the case. The principals will be prosecuted in Philadelphia. McCreery and Melton had told representatives from the Office of the Inspector General that, under "intense" pressure to have their schools meet state standards, they changed answers on students' Pennsylvania System of School Assessment (PSSA) tests. Melton, who retired in 2012, told investigators that he placed students in groups based on how he thought they would perform on the PSSAs. He changed the answers of those he considered "on the cusp" so the school would make Adequate Yearly Progress, an important measure under the No Child Left Behind law. McCreery said she created an answer key to change incorrect answers in 2010, when Comm Tech's math and reading scores "increased exponentially." She remained a principal in the district until 2013, when she surrendered her administrative credentials in connection with the cheating investigation. Melton gave up his teaching credentials this summer. Neither he nor McCreery could be reached for comment. If convicted, both would lose their pensions. The two are the sixth and seventh Philadelphia School District educators charged in the cheating scandal. Five Cayuga School educators were arrested in the spring - principal Evelyn Cortez and teachers Rita Wyszynski, Lorraine Vicente, Jennifer Hughes, and Ary Sloane - and charged with test manipulation. In all, 53 district schools were or are being investigated for possible tampering with state tests. School officials have said that 138 educators have been implicated in the Philadelphia cheating probes. More criminal charges are expected, authorities have said. Melton initially denied knowing why so many Bok students' wrong answers were erased and changed to right ones, but finally told state investigators that "he personally erased and changed student answers on the PSSA exams." He told officials of the pressure put on principals by the district to get their school's scores up. He noted that his evaluation was tied to PSSA scores and said that when decisions were made about which schools to close, test results were considered. Melton said that he began changing PSSA answers in 2008 or 2009 in both reading and math, and that he continued to manipulate results, using answer keys he created himself, until 2011. Bok failed to make AYP in 2011, he said, because he did not manipulate enough tests. He said he acted alone and was the only person who knew what happened at Bok, where scores soared. In 2010, the high-water mark for Bok's scores, 71 percent of students passed math tests and 53 percent passed reading. By 2012, when the test manipulation stopped, scores tumbled 45 points in math and 21 points in reading. McCreery also described intense pressure to keep scores high, telling state investigators that she believed the district had "unrealistic" goals for PSSA performance. In 2009 and 2010, McCreery told officials, she would arrive at Comm Tech before anyone else and correct 15 student exam books per morning. She did so on at least three days. She personally created an answer key, McCreery said, and carried it with her. She also acted alone, and had left before the 2011 tests were administered. The school's scores reflected McCreery's actions. Between 2009 and 2010, for instance, Comm Tech math scores jumped 40 points and reading scores rose 22 points. But in 2011, by which time McCreery had left the school, scores dropped precipitously - 45 points in math and 38 points in reading. Fernando Gallard, a spokesman for the Philadelphia School District, said it was "unfortunate to see individuals being arrested for these type of actions. But it's the right thing. Individuals will pay a price for being involved with test cheating." The Inquirer first reported Philadelphia test-score cheating in 2011, when educators told the newspaper about fast-rising test scores they said were achieved in part through adult cheating. Philadelphia's cheating scandal is part of a string of such abuses nationwide. The trial of a dozen Atlanta educators charged in a widespread test-manipulation case is expected to begin next week. State officials said they would encourage anyone with information about standardized-test cheating to call the Office of the Attorney General at 610-631-5987.